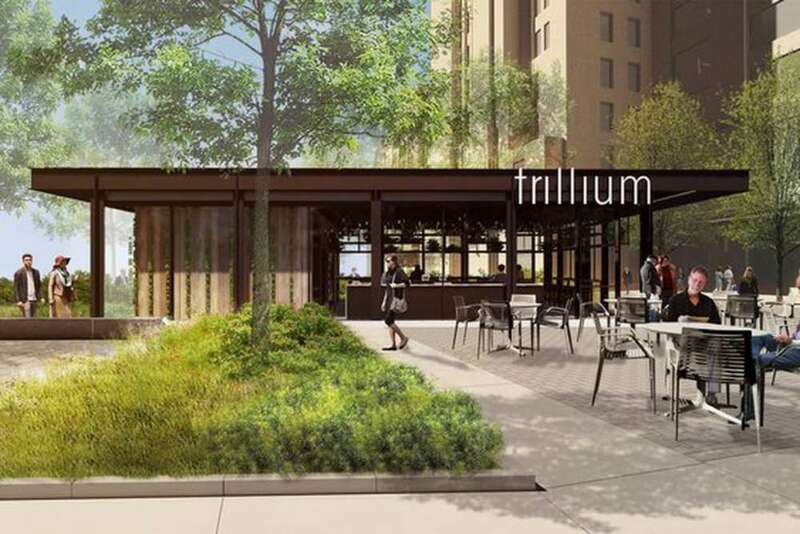 Trillium Brewing Company has announced that Trillium Fenway will open as part of the refurbished and re-imagined Landmark Center at 401 Park Drive near Fenway Park. This project will constitute Trillium&apos;s first development from the ground up and it will encompass 1,500 square feet plus a patio. The space will be open year-round and feature seasonal programming such as a skating rink during the winter months. Take a few spins after sipping a few decadent stouts or hazy IPAs and it will be the twirl of a lifetime! Trillium plans on debuting the Fenway venue in time for the Sox pennant race so stay tuned for news on the opening date.